If you’d like to do something profound for your health (physically, mentally, emotionally, and spiritually), I encourage you to do a 5-day water fast. 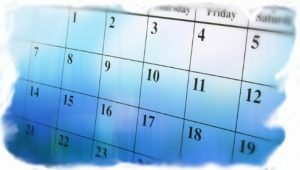 Dr. Hubby and I just recently finished up a 5-day fast. I am SO glad I did it… and I will definitely do it again, and again. It’s also known as “Block Fasting” or an “Extended Fast”. I didn’t do it to lose weight, or “cleanse” for the new year. Shoot, I’ve got plenty of tricks up my sleeve to detox & cleanse that involve FOOD! That’s not enough motivation for me to stick with something like this for 5 days. The reasons had to be far more significant for my brain to be on board for the full ride. I did it to radically reset my health and do something profound to impact my longevity! (Mind you, the loss of excess fat and reappearance of some lean muscles I haven’t seen for a couple years sure was a sweet little bonus!) I also did it to prove to myself that I could. Keeping my word to myself is one of the most powerful things I can do. Fasting, of course, is as old as time. Cultures around the world have incorporated fasting on some level for as long as history has been recorded. The reasons vary, but the point is humans can, and arguably should, fast. It’s nothing new. I’ve “fasted” before, but with whey water or vegetable juices or the “master cleanse” drink or bone broth… but this was a WATER fast. Different animal for me! Fasting like this doesn’t “treat” anything, it simply allows the body to enter into a state of perfect homeostasis… to focus on healing and resetting… our God-given Innate Intelligence takes over and does what needs to be done. 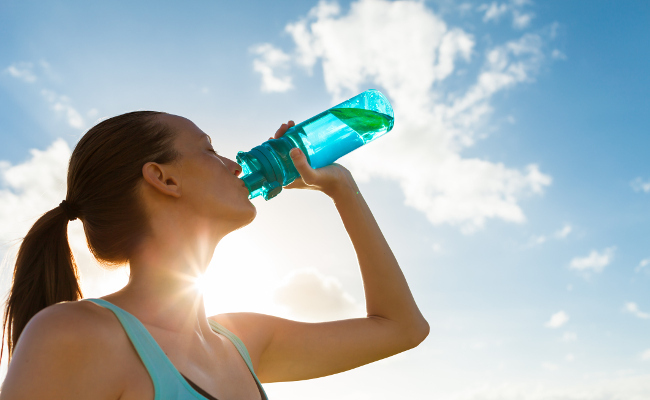 So WHY do a 5-day water fast… what are the BENEFITS? Ketosis – First, fasting allows us to far more easily achieve the metabolically desired state of ketosis, where the body switches over from relying on sugar/glucose (food!) 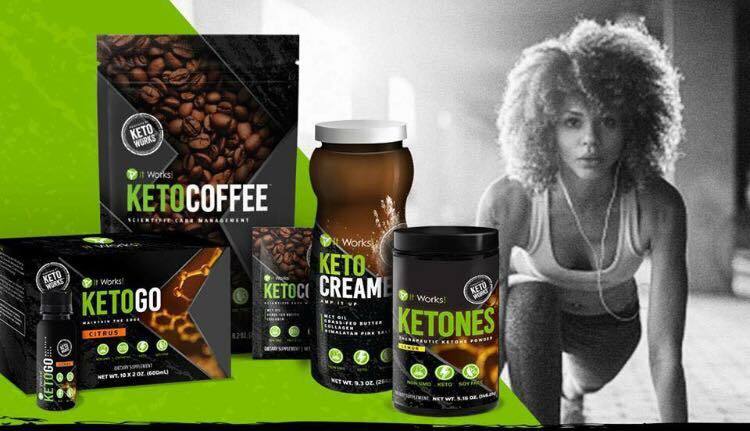 as its primary source of fuel and instead taps into our fat supply and starts burning ketones for fuel. By now, most health-conscious folks are aware of the serious health consequences that result from having chronically high levels of blood glucose. But as a society, we get stuck… we’re addicted to sugar/carbs due to chronic cellular toxicity and poor nutrition choices. And, we never seem to stop eating. Ever. Going “keto” isn’t (just) a trend… it should be a lifestyle goal… a longevity goal. Although it’s NOT a requirement by any means, if you’re the type who needs to SEE some evidence that what you’re doing is “working”, I highly recommend that you get yourself a reliable meter to measure your glucose and ketone levels each day during the fast… and after. 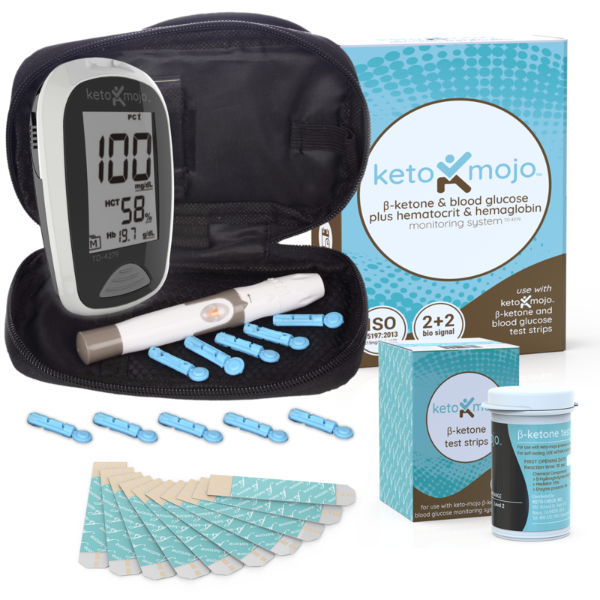 I recommend the Keto-Mojo unit for its ease of use and cost-effectiveness. The goal throughout the fast is to decrease our glucose levels and get our ketone levels moving up. I’m not a fan of specific numbers/measurements because there are just so many variables to consider, but a ketone level of 0.5 mmol/L and above is considered getting into “ketosis”… provided we’re also seeing those glucose numbers come down. While there are SO many individual factors at play, our objective is to get glucose down, ketones up… close to a 1:1 ratio (you’ll need to convert your glucose measure to mmol/L)… into the zone where all the magic happens! Soooo… whether you use a meter to confirm your glucose and ketone levels or not, if you’re not putting any glucose (food) IN for several days, one can assume you’ll achieve ketosis at some point during the fast… (although, the body CAN make its own glucose… but we’ll work on keeping that in check during the fast by not exercising strenuously, getting enough sleep, and keeping our stress levels low). Usually it’s around day 3 or 4 that the average faster will start hitting the sweet spot of ketosis… it might be sooner if you’ve been eating a higher fat/low carb diet already, and incorporating intermittent fasting. It might be later if your health has been off track or you’re toxic. This might be WHY you opt for testing your levels. 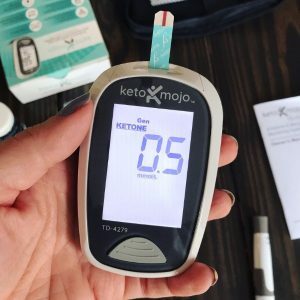 If you’re the type of person who needs to know “Am I in ketosis?? Is it happening? ?”… then go ahead and test! 2) Autophagy – once the glucose starts to decrease and ketones are on the rise, the Innate Intelligence of the body can really get to work. Arguably, some of the most important work accomplished during this fast is that of autophagy (usually once we near that 1:1 ratio of glucose:ketones), where the body cleans out the old “bad” cells and tissues, and uses them as a source of fuel. Bad proteins, bad DNA, bad mitochondria, bad cells, bad white blood cells (the hypersensitive ones that wreak havoc with food allergies, autoimmune conditions, and drive inflammation, etc.). It’s like burning trash for fuel… win-win! 3) Increased Stem Cell Production – now the body can create fresh new immune system/white blood cells that are better behaved and provide a healthier immune response. Research shows the most dramatic rise of stem cells happens in day 5… which is part of the reason for a FIVE day fast… we benefit from properly fueling those stem cells the next day. 4) DNA Reset – “bad” genes that had been turned on for a variety of undesirable conditions (obesity, cancer, diabetes, etc.) can now be turned off or down regulated. FOR REAL?? Both of my parents had cancer. When I hear of anything, scientifically valid, that can turn those genes OFF in ME, I’m all about that! I’m thinking I’m not alone here. 5) Reset of the Gut/Microbiome – We know how critical the “gut” is to our brain function & cognition, our immune function, and overall health. Fasting gives the gut a chance to re-boot and start fresh like nothing else can. This is a very big deal! Then, of course, the trick is to replenish the gut wisely post-fast. More on that later in this series. 6) Hormone Optimization – Hormones (e.g. insulin, estrogen, leptin, testosterone) are the body’s little “cars” that drive metabolic messages into the cell so that our body does what the hormone messenger would like it to do. The problem is, due to toxic inflammation at the cell membrane, the messages from these hormones gets blunted and skewed. While mainstream approaches often add more hormones to the mix, it would behoove us to clear up the mud at the cell membrane so that our hormones can simply do their job! When fasting, our cells become more “sensitive” to the hormones… meaning, they can better “hear” the messages the hormones are trying to deliver. In return, we feel better, we metabolize better, we burn fat better, we respond to stress better, etc etc. Life completely changes when we can finally HEAR our hormones!! 7) Increased Healing – When we rest the GI system through fasting, healing happens. The Innate Intelligence can focus its energy on what needs fixing. Eating & digestion are metabolically taxing and require a lot of the body’s energy. Freeing our bodies from this burden for a few days allows that energy to focus on other important matters. SEE what I meant earlier? 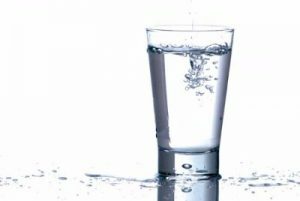 If I attempted to JUST drink water for 5 days, going through the various ups & downs, and the only benefits were “detox” or weight loss? No. Way. 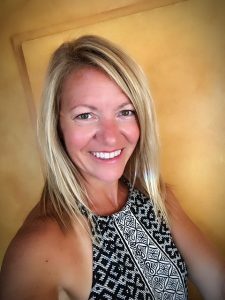 I have a history of food issues… and a visit with an eating disorder. You do not mess around with my food without a very good reason! 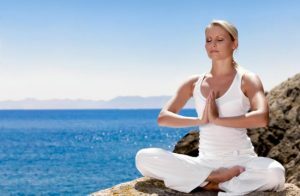 These benefits of cleansing were in my mind with each passing day, urging me to continue and break through the mental crap, food addictions, and deeply ingrained habits that tend to prevent us for doing something like this. It was simultaneously EASIER than I thought it would be… and more challenging than I thought! Tips for a successful fast. How to properly break your fast so that you don’t lose the benefits of your hard work. How does this fit with intermittent fasting?